There's never been a better time than to book an all inclusive holiday in Majorca. 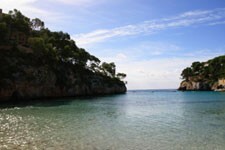 Majorca, the largest Balearic Island, is in the Euro zone and the current conversion rate to the pound is poor meaning you may find food, drink and snacks quite pricey. By booking an all inclusive property will allow you to manage your money better and potentially save in the long run, as your food and drink will be paid for before you travel. All inclusive hotels in Majorca can be found in most resorts such as Magaluf, Palma Nova, Callas de Mallorca, Alcudia plus many more.